Strijp S, an industrial complex of Philips, will be developed as a lively centre for innovation, technology and new forms of dwelling, working and leisure. 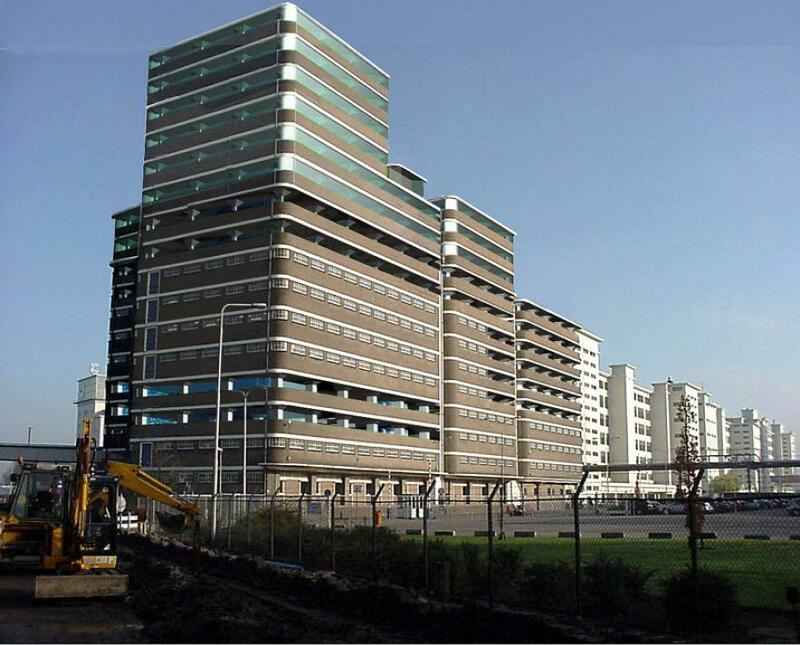 The Veem building is a monument and will be maintained in the redevelopment of StrijpS. HenningMade developed a vision for the re-use of the former warehouse within the context of the Strijp S development. The plan provides a wide range of apartments varying from student housing up to high-end penthouses, flexible office floors, parking facilities, a supermarket, a sports centre, a lunchroom and a childcare centre. Because of the former function there is a lack of daylight in the building for it has low ceilings and 40 meter wide floor plans. Two voids are cut out of the building creating two squares on floor 4 and 8. The apartments are situated around the voids. New floors are being added for extra apartments. Above 1 meter the old brick façade is replaced with glass. The office space keeps the original façade but is doubled in height by cutting away part of the floors. The remaining grid is reinforced to maintain the structural integrity. The childcare centre and lunch room are situated around the square on the 8th floor. The sports centre is located on the other square. The ground floor contains parking lots and a supermarket. by function and unveils its robust mushroom construction.